Is Khloe finally ready to reveal the news? It appears that Khloe Kardashian is finally ready to tell the world about her long-speculated pregnancy. The reality TV star is rumoured to be expecting her first child with boyfriend Tristan Thompson, but has yet to publicly confirm the news - until now, it seems. 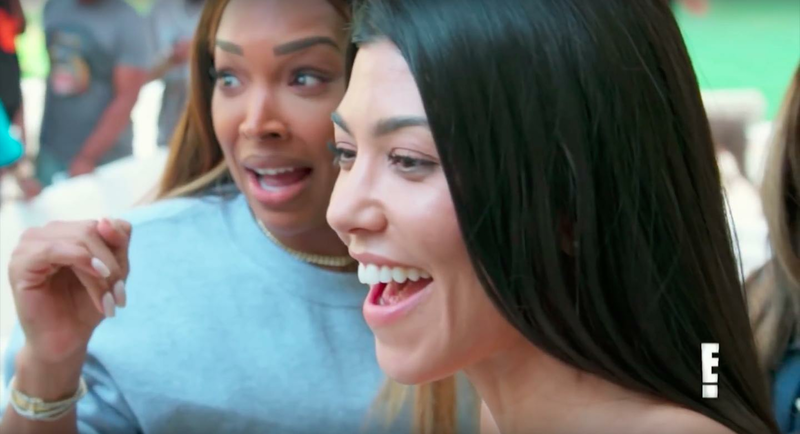 In the new mid-season trailer for 'Keeping Up With The Kardashians', the famous clan can be seen reacting to a shocking announcement being made at a family party. Guests in attendance, including Khloe's long-time best friends Malika and Khadijah Haqq, are filmed gasping at an unspecified announcement. "Did you not know?" asks Kim to their mother Kris Jenner, who replies "No!" The camera then pans to a emotional embrace between Khloe and the Haqq sisters, before sister Kourtney cries: "Are you kidding me? Oh my god!" Khloe, 33, fuelled the ongoing rumours last week after she was pictured wearing a huge oversized coat as she reportedly left a doctor’s appointment in California. Last month, matriarch Kris dropped another major hint at Khloe's pregnancy, as well as youngest daughter Kylie's - the young makeup mogul is also said to be expecting her first child.